Melbourne's Pearls released single 'Big Shot' 4 months ago but only yesterday released a brand spanking new video for the song. The video was created by artist Benny Montero (Ariel Pink, Mac Demarco, Connan Mockasin, Pond). Describing the video as "Crumb-style animal dementia mixed with 60s and 70s psych art", I absolutely love how the colours and disfigured cartoons intertwine together in harmony and rock'n'roll beauty. 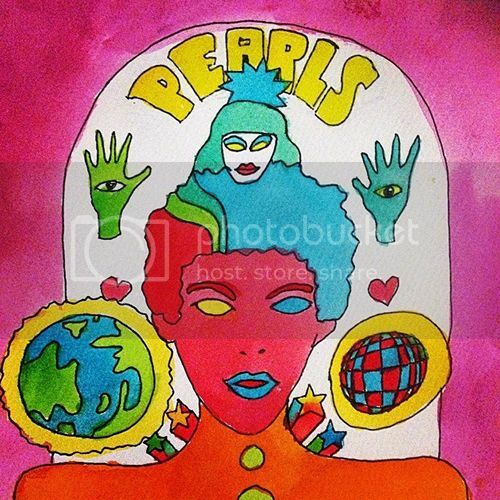 Pearls debut album 'Pretend You're Mine' will be released via Dot Dash/Remote Control Records on 20th February 2015 digitally & on vinyl. He told you to close your eyes, he had a surprise, he grabbed your hand and for the first time you knew why he had taken you to his secret place. You always knew it existed but never had the courage to ask him. As you slowly opened your eyes, he lightly squeezed your hand and whispered 'Winter's Gone'. In that moment you knew that things would be ok. You stood there together gazing at the melting snow for the next 7 wonderful minutes. Expect more beauty from Brisbane's Nite Field when they release their new album 'Depersonalisation' on February 2. Perth based artists Flower Drums have teamed up with the enchanting vocals of songstress St. South and released a new single called 'Don't Wait'. With layers of analog and electronic synths, dreamy vocals, touches of r'n'b, this song is a modern day lullaby with plenty of bravo. 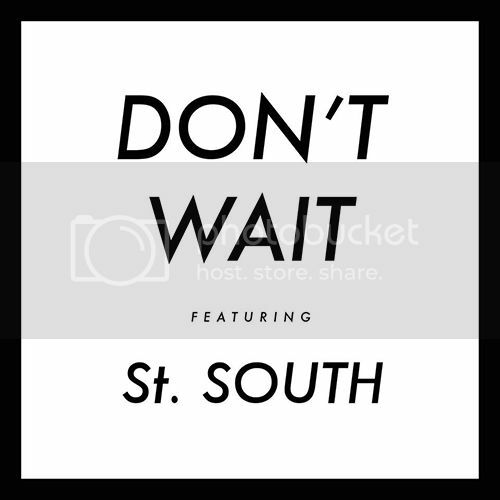 'Don't Wait' is the first taste from their forthcoming EP, set for release in March. 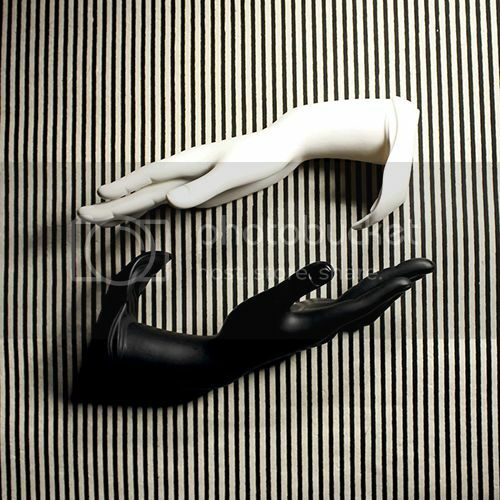 Dreamy electronic pop with soul and heart is something that Sydney new electronic duo Left do well. 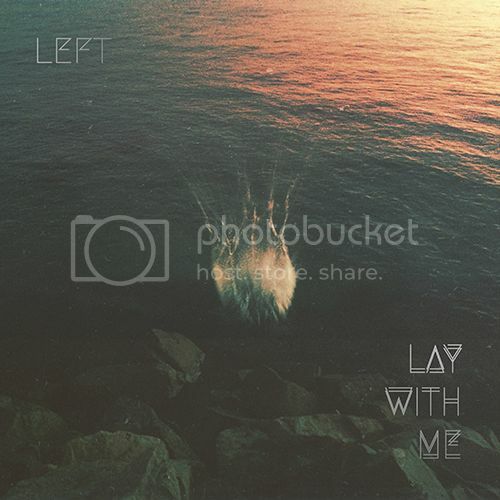 The duo have just released ‘Lay With Me’, a new single which is going to be on their debut LP ‘Sirens’ (due out 6th February via Create/Control). They’re launching the 14 track album on Friday 13 Feb in Sydney at the Oxford Art Factory (Gallery Bar), Black Bear Lodge, Brisbane on the 14th of Feb and playing Laundry Bar, Melbourne on Thursday 12 Feb. Get amongst it. 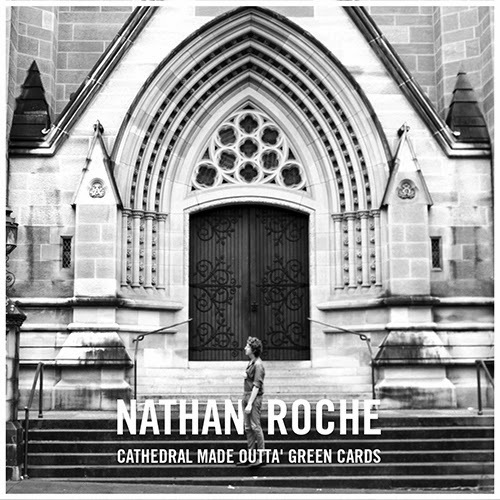 Nathan Roche is quite a character, he's got an offbeat sense of humour, a poetic genuineness and he can also write a dam good tune. Last time I wrote about Roche was back in March last year when he released his second album 'Magnetic Memories'. I really enjoyed that record, which touched on subjects of paradise, luxury times and islands. Roche is back with another solo record and is also briefly back in Australia (he has been living in Paris for the better half of 2014). His new album titled 'Cathedral Made Outta Green Cards' is going to be released on his own label Glenlivet-A-Gogh and is the third and final record to be released by Roche. RIP. 'Phantom Blues' is our first taste from 'CMOC' and sounds a little like Cave, Hazlewood and Tav Falco's 'Panther Burns' all mixed into one. Roche say's it's the only song like it on the record, so I'm eager to hear the rest! 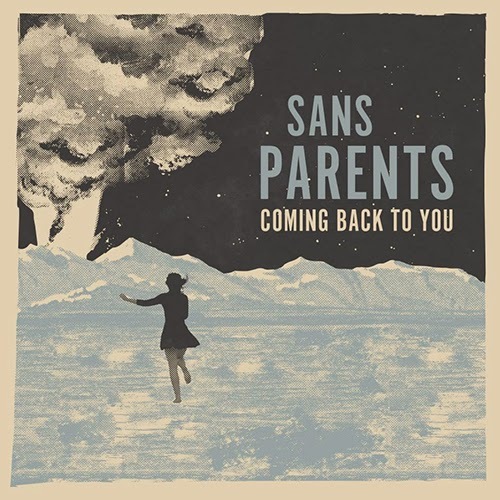 You can download the song for free below and if you're in Melbourne this weekend, he's playing a couple shows. Stumbling upon a new band is always a delight. After listening to 'In Time' on repeat for god knows how long, I wanted more information on the band. 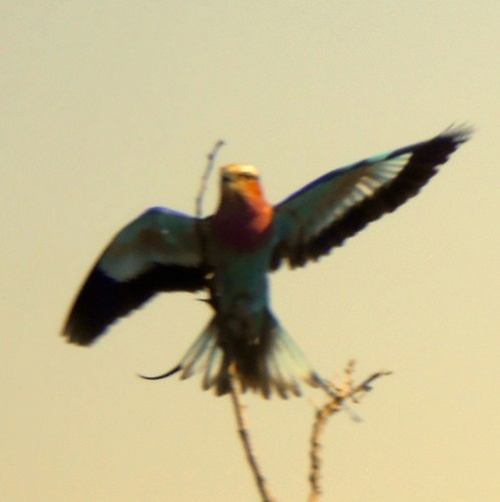 After many failed google attempts, I messaged Plastic Birds and asked them where they're based, Cecil Birdwhistle (must be his real name) replied "At the moment we're perched around Sydney". With no website, facebook or twitter, these new psychedelic songbirds are a Sydney mystery. 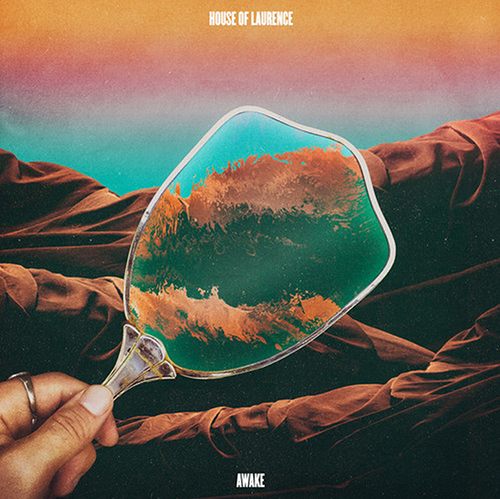 Listening to new single 'Devil's Walk' from House of Laurence's debut LP 'Awake' (to be released later this month), made me imagine myself wandering through an apocalyptic western desert, where I consumed magical peyote with Jimmy Page and watched him shred. Only later becoming intertwined and cooking in the blistering sun set. The moment was pretty surreal. You can catch the lads when they play a bunch of shows in the coming months and pre-order a copy of the limited edition LP on vinyl here. 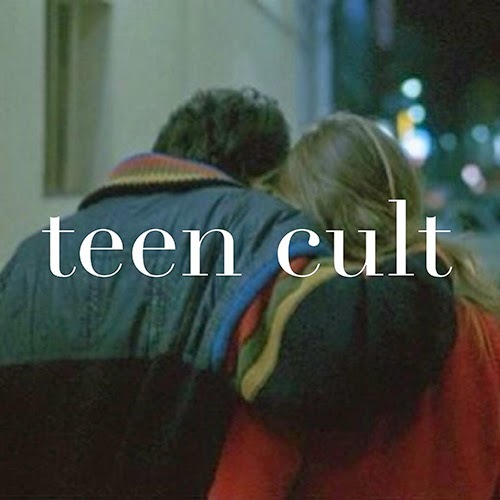 For my first post in 2015 I wanted to share with you a solo bedroom project called Teen Cult I recently discovered on Soundcloud. There are a bunch of demo's and songs you can listen to and download. 'Kyoto' was the stand out track for me; the minimal drum beats, atmospheric layers and angelic vocals work perfectly in harmony. This has a similar dreamy sound to Banoffee's track 'Ninja', which was one of my favourite tracks of 2013. I can't wait to hear more from this talented artist.